With the Knitting & Stitching Show starting at the International Centre on November 24, we thought we’d take a look at some of the best craft shops in Harrogate. It’s boom time for crafting and there are some great local independent places to pick up craft supplies, whether you’re a knitter, stitcher, painter or calligrapher. Open Tues-Fri 10am-5pm and Saturday 10am-4pm. 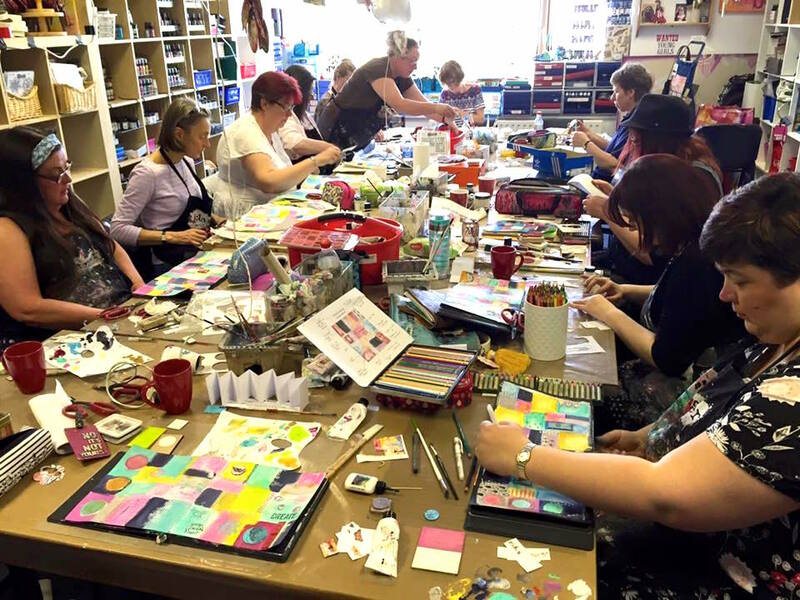 As well as selling art and craft supplies in store and online, Art from the Heart attracts artists and crafters from all over the country to its workshops in Harrogate. The family business has been at Hornbeam Park for 10 years and has built up an popular following, particularly with those interested in art journaling, mixed media, rubber stamping and altered art. Ben and Dyan Reaveley specialise in stamps, stencils, paints and ink and stock an impressive selection of products by brands such as Dylusions, Ranger, Tim Holtz, Stampotique, Stampington, Finnabair, Dina Wakley and Seth Apter. Dyan has also developed her own range of designer stamps, paints, inks, stencils and more called Dylusions and now spends much of her time promoting this brand throughout Europe and the USA. Dyan was ill for a number of years and started crafting while bed bound. While Dyan was recovering she started to teach small workshops and worked in the local craft shop. Dyan branched out and that is how Art from the Heart was born. Small workshops led to larger workshops and then the shop and website were steadily added. 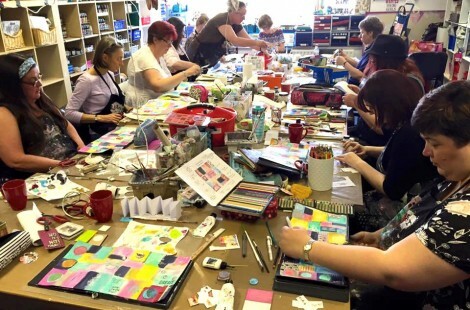 Dyan’s dedication to teaching has led to her and Art from the Heart having a loyal customer base that travels from across the UK to attend workshops. Keep an eye on the website, Facebook and Twitter for regular workshops, open days and taster sessions which are held throughout the year. 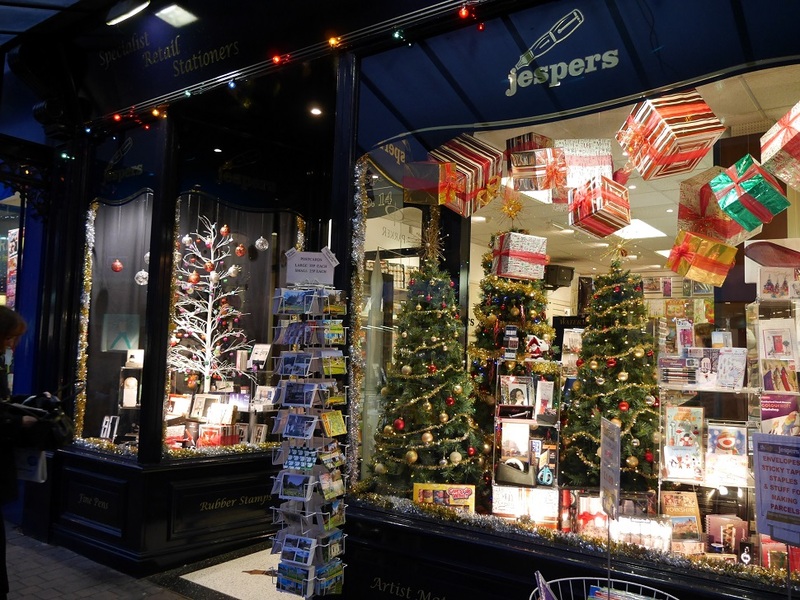 Founded in 1901, Jespers of Harrogate is an established part of the local community, offering a stunning selection of stationery, arts and crafts items, and traditional gifts. Managing director Peter Jesper is the fourth generation to run his family’s business, which began all those years ago as a hand engraving business which even worked for the Royal Family! The engraving work expanded over the decades and, during the Second World War, Jespers produced secret engraved control panels for Allied radars. It was in the 1950s that Jespers began to sell stationery. The company also acquired its first store in Oxford Street, Harrogate, and expanded its products and services. They moved to their current premises at Number 14 in the 1960s. The retail and commercial business expanded throughout the 1970s and 80s, with Peter taking over as MD in 1979. 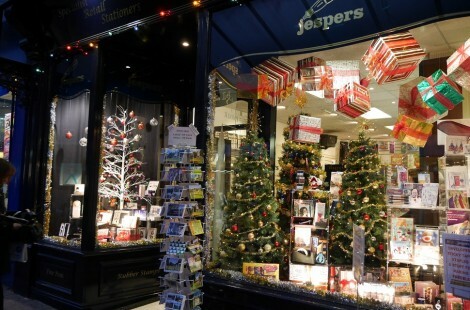 It was during the 1980s that Jespers established itself as one of the top specialists in the UK for stationery and office supplies, a reputation it retains to this day. For people who love arts and crafts, Jespers of Harrogate stocks a wide selection of items, which you can buy in store or online. The shop also has studio space upstairs which is used for arts and crafts classes. There are high quality acrylics, oils and watercolours from top brands such as Daler-Rowney, Winsor & Newton and Lyra, along with a range of brushes and specialist paper and card. There are also sketching pencils (Jespers are a master stockist for Derwent), adult colouring items and art accessories. Christmas stock includes art kits and wooden construction packs including ‘Timberkits’, one of the success stories from the TV programme Dragons’ Den. And for anyone interested in writing, Jespers sells a range of beautiful calligraphy pens. It even has a collection of pens made from AK-47 rifles which have been removed from circulation in Africa! If you want to read more about the amazing story behind these pens visit their Facebook page here. Just a couple of doors down from Jespers is Duttons for Buttons, a different kind of craft shop selling, as the name implies, buttons. And they don’t just have a few buttons – they stock more than 12,000 button designs. That’s the largest selection of buttons in the UK! So if you need buttons, this really is the place to go. Buttons range in price from 12 pence to £25 each. If you’re wondering what kind of a button costs £25, it’s a diamante one! Even costume designers for big box office hits such as Pirates of the Caribbean have sourced items from Duttons. Over the years, the company has supplied buttons for theatre, television, film, exhibitions and museums. 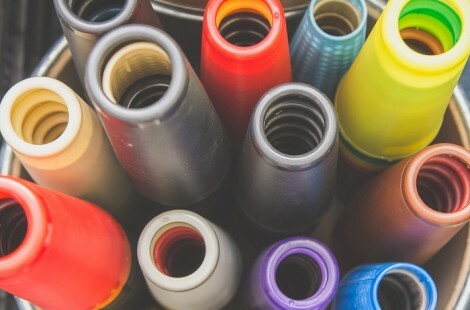 But the majority of their customers are local crafters who love the large selection of buttons on offer at Duttons, as well as the extensive range of ribbons, laces, braids and haberdashery items including zips. And there’s something to suit all tastes, prices and pockets. They even offer a unique personal button matching service. Group manager Michelle Horton, a former theatre wardrobe mistress, describes their customers as ‘inspirational’ in the things that they’ve created, and says crafters often pop into the shop for advice on buttons to finish off something they’re sewing or knitting. Duttons also gets visitors from further afield who make a special journey to Harrogate to visit the shop. One lady even travels over from France once a year to stock up on everything she needs! Current owner Deborah Richardson is the fourth generation of her family to run Duttons for Buttons, taking over the helm this summer after her mother, Drusilla White, passed away. Drusilla had run Duttons since 1968, scouring the world for new and exotic buttons for the business’s collection. Among the most unusual items in stock are some officers’ glove buttons dating from the Boer War. Duttons opened as a trimming merchants in Leeds in 1906 and 50 years later a button shop was established in Harrogate. So this year is the Harrogate shop’s 60th anniversary! The company also has a shop in Ilkley and one in York, which this year celebrates its 40th birthday. The York store is currently a finalist in the Best independent haberdashery shop (North of England) category of the 2016 British Sewing Awards. And with the festive season just around the corner, Duttons is now stocking items such as Christmas ribbons, craft kits, cards, fabrics for quilting and, of course, buttons. Tucked behind a narrow entrance on Commercial Street is this Aladdin’s Cave of all things fabric. 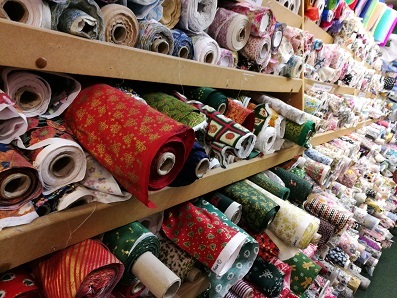 It has everything you could ever need for a crafting project: rolls of material to make anything from clothing to curtains, bundles for patchwork, colourful patterns for children’s products and a huge selection of seasonal fabrics. You couldn’t wish for more when it comes to Christmas crafts. At the Remnant House, you’ll find simple repeat patterns of stockings and candy canes, traditional motifs of robins, holly and rocking horses, and striking modern designs of snowflakes, reindeer and Christmas trees. You’ll also find oil cloths ideal for covering tables, cushion pads and fillings, hessian, Bondaweb, an enormous range of ribbons and trims, zips, every kind of thread you could need… The shop is filled to the ceiling with everything fabric-related! And if you can’t find what you’re after, the friendly team of staff are always happy to look for you and share their expertise. The Remnant House has been a favourite among Harrogate craft enthusiasts for several decades now, having previously been based in a shop on Parliament Street. It feels right at home among the independent businesses of Commercial Street – but if you can’t get to it, it also has an extensive online shop where you can browse and buy everything from the comfort of your own home! Everyone in Harrogate has heard of Bettys & Taylors – but did you know that the independent family-run company runs a community craft resource? The Cone Exchange is a Bettys & Taylors community project, based next to the company’s headquarters on Hookstone Park. Every year, and with the help of over a dozen volunteers, it works with around 200 Yorkshire schools, community groups, social enterprises and charities to re-use and recycle waste materials from both Bettys & Taylors and 10 other local companies. While some of the waste is re-used for children’s creative play, other items are offered for sale to local crafters. 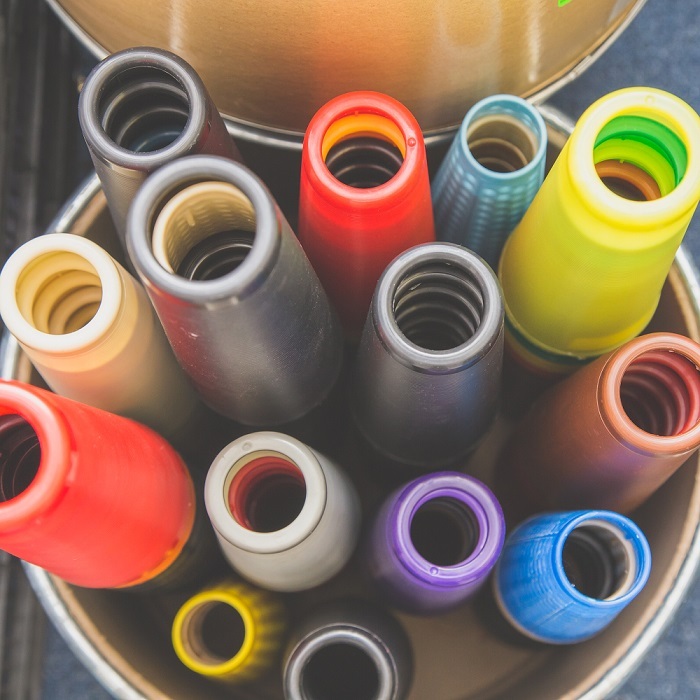 There’s a range of materials available for hobbies and crafting, including fabric off-cuts, ribbons, wool, buttons, military braiding, paper, knitting patterns, cardboard boxes, plastic tubs, hessian sacks and garden twine. Proceeds are donated to Bettys & Taylors’ Trees for Life project, which supports tree planting and preservation both in Yorkshire and in countries where tea and coffee is grown. Some of the money is also given to social enterprises in the Harrogate community, such as Horticap. And the organisation will be taking part in the Knitting and Stitching Show in Harrogate next week, selling repurposed waste from the fabric industry and holding practical demonstrations to show guests all the many creative ways of using it. Thank you so much for this information regarding crafting materials and available resources. I was under the impression that I needed to travel further afield to finds Arts and Crafts resources. It’s good to hear that Duttons will continue in the family, after the passing of Drusilla White, it’s a gem of a shop. With gratitude, and ready for my shopping expedition!